Are you in the market for new flooring? If so, you’re probably overwhelmed by your choices. What you don’t want to do is spend a lot of money on flooring only to regret your choice later. Which Room(s) Will The New Floors Go In? Different rooms in your home will have different flooring requirements. For instance, bedrooms generally don’t have a lot of foot traffic whereas living rooms do. The floors in your bathroom and kitchen have to stand up to spills and moisture, while the floors in your kids’ playroom have to stand up to, well, . How Do You Want Your Room to Look? Is your home a traditional cape or a modern ranch? Do you lean toward classic design or eclectic? Do you prefer the look of blonde woods or dark? What style of furnishings do you already have? There are almost endless flooring options today as far as colors, patterns and textures, so spend some time considering your ideal look. Years ago it was next to impossible to install hardwood or because there was no way to secure the planks. But now, thanks to engineered boards, you can easily glue down the new flooring to the concrete floor. These boards are incredibly strong and do not react to climactic changes like solid hardwood floors might. So, if you are remodeling your basement and want the look and feel of wood floors, you now have that option. What is the Room’s Climate? 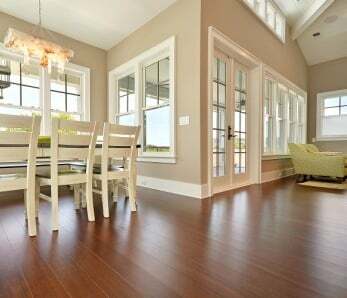 Both solid wood and laminate floors may swell and contract if exposed to significant changes in humidity and temperature. 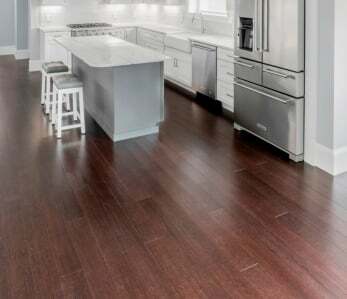 If you want the look and feel of hardwood floors in your kitchen, bathroom or laundry room, consider installing bamboo floors which stand up to moisture very well. Pets make a wonderful addition to any family. They also make a wonderful mess to your floors. If you have some four-legged pals in your home, you’ll definitely want to install , easy to clean and durable. What’s Your Budget for the Project? And last but certainly not least, you need to think about how much you can afford to spend for your remodel project. How much square footage of flooring will need to be installed? Can you do the installation yourself or will you have to hire professionals to do it for you? Some floors are easier for homeowners to install themselves which can save you a bundle. You may be surprised to hear this, but mature bamboo is actually harder than both maple and red oak. It’s also incredibly resistant to things like moisture and denting because bamboo is actually a tropical grass not a hard wood. This means less stains and warping. With regular care and maintenance, your bamboo floors can last 25 years. 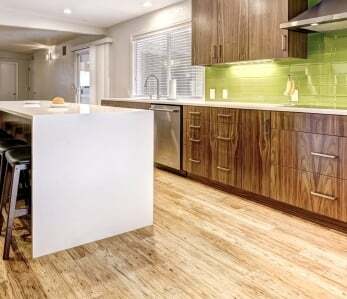 When it comes to being environmentally friendly – you really can’t beat bamboo flooring. 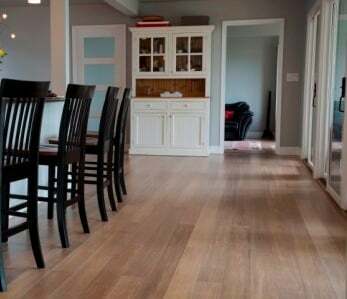 First, bamboo floors have extremely low levels of formaldehyde and other harmful chemicals that are typically used to make some of the engineered flooring on the market. Of course, not all bamboo floor manufacturers are equal so do your homework and make sure you buy your floors from a reputable dealer. All of Ambient’s flooring is lab-tested for formaldehyde and other volatile organic compounds (VOCs). Our products set out by the California Air Resources Board (phase one and two), the Occupational Safety and Health Administration (OSHA), the International Standards Association, and European indoor air quality standards (E0 and E1). 100% VOC-free products are also available by special order. 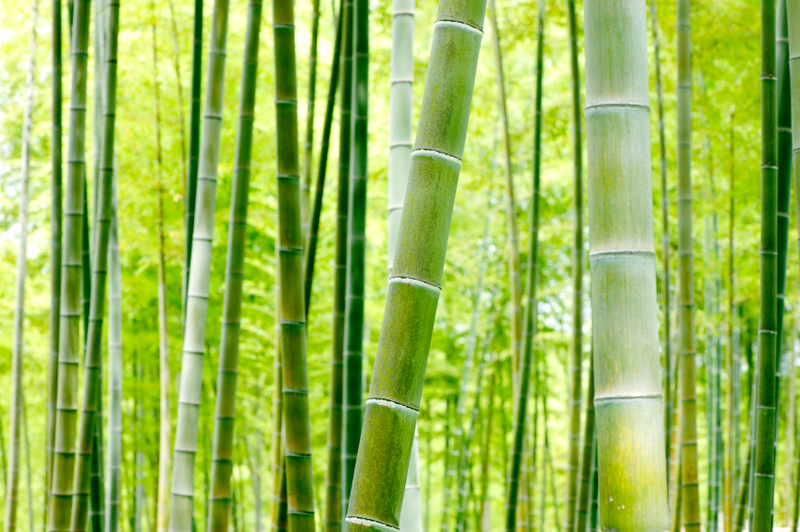 Bamboo grows incredibly quick, maturing in as little as 3 – 5 years, and many species can grow over 100 feet tall. Compare this to hardwoods which can take up to 30 years to mature. 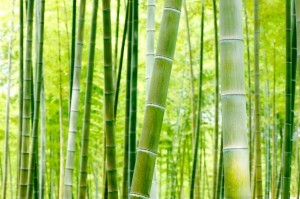 Also, bamboo does not require pesticides, fertilizers or excessive amounts of water. Bamboo groves also release more oxygen into the environment than other trees, and they can help prevent soil erosion, improving growing conditions for other plants. When you take all of this into consideration, you can see why bamboo appeals to eco-friendly homeowners. Homeowners can save quite a bit of money by . But many floors can pose an installation challenge and require professionals. Not so with bamboo. This flooring typically comes out of the box ready to go so no sanding, staining, drying time or finishing is required. You don’t have to spend a lot of time or effort keeping your bamboo floors looking great. Some regular sweeping and mopping will do the trick. To keep them sparkling, you may simply polish your floors once or twice a year with wood floor polish. Bamboo is one of the more versatile flooring choices on the market. Although you may be familiar with bamboo’s natural blonde color, did you know it’s color can change through a process called carbonization? This process uses pressure to heat the sugar in the bamboo and the result is darker shades. Want floors the color of cherry or hickory? Not a problem. No matter what your décor or personal preference, you’re sure to find bamboo floors that fit your home and lifestyle. 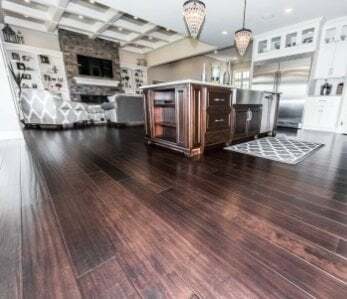 Installing new floors in your home is an incredible way to add beauty and raise the value, but it is an expensive investment so be sure to think about all of your requirements before you buy. 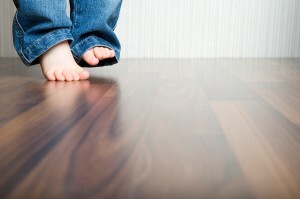 ‹ Are Your Floors Emitting Dangerous Formaldehyde?